 Mission: Rationale is a certified 501(c)(3) non-profit and community-based organization that seeks to improve access to education for northern Ugandan youth by building community-driven scholarship programs and supporting collaborative research projects. is produced in northern Uganda. This is accomplished through a three-pronged mission strategy: generating educational opportunities for secondary and university students who otherwise are denied access to education; producing collaborative research; and supporting youth in finding comprehensive, peaceful solutions in their communities. We provide holistic educational and life-skills support to young men and women studying in a variety of fields. Our students are equipped with a dedicated mentor to provide regular, personal support throughout their studies. We are committed to long term partnerships and all of our programs emerge from the community from which each student comes. In addition, we work with teams of young people to brainstorm, design, and implement collaborative research projects that put the present concerns of young people at the center. These team members gain valuable research, writing, and critical thinking skills while at the same time making a mark in their communities by producing knowledge that belongs to them.